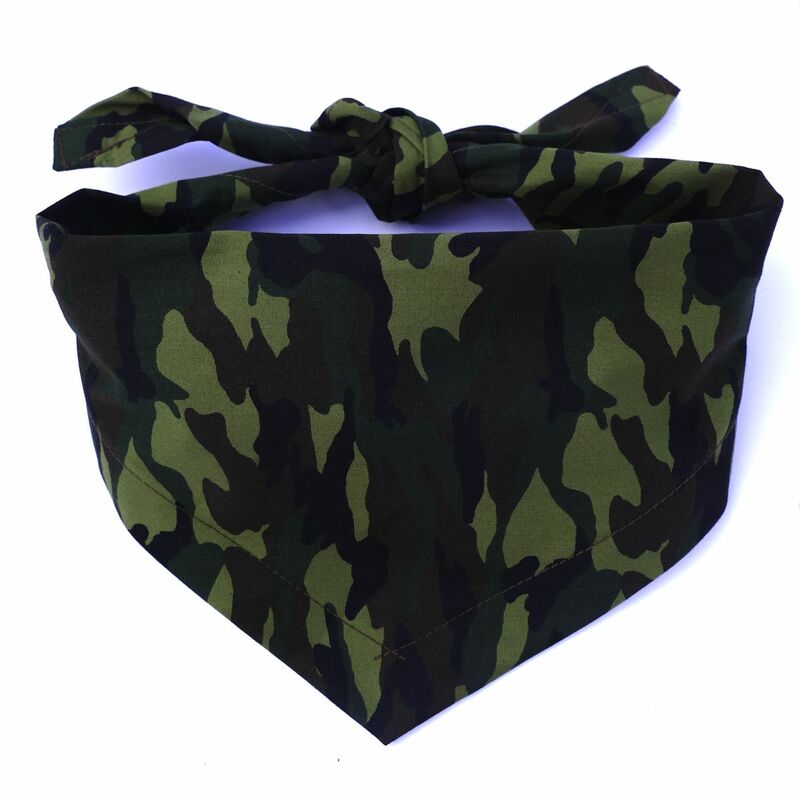 A super quality Jungle Camo dog bandana in jungly shades of green, this is the perfect Camouflage dog bandana for your Dudie expeditions!! 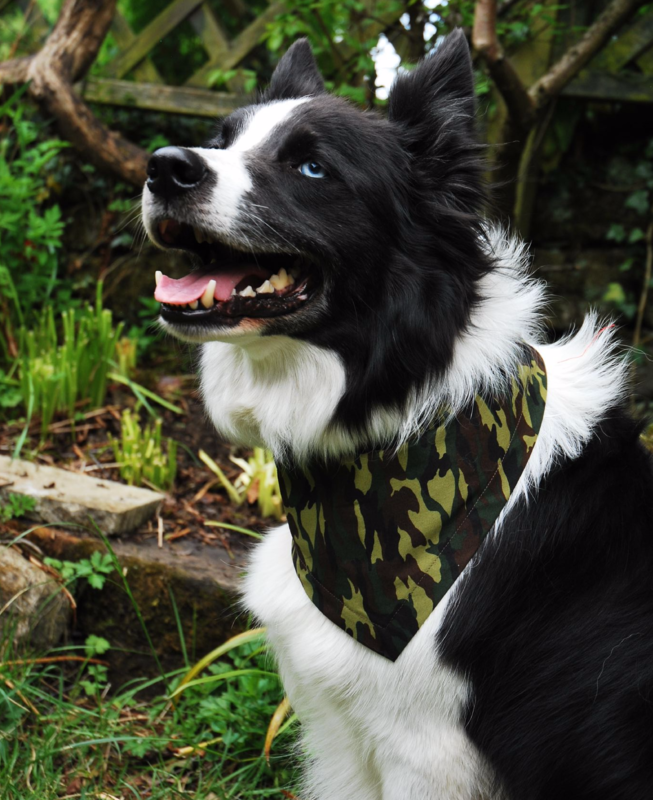 It's a great addition to any fashion conscious dog's wardrobe, equally at home in the city or the countryside. 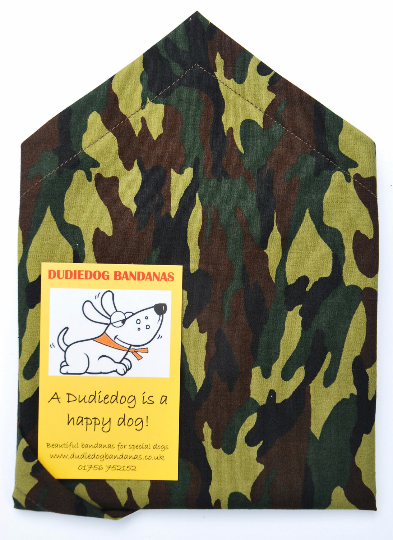 It makes a great gift for all of your favourite doggy friends, and is the perfect bandana for trips out to the woods, the park, holidays, or just any occasion!